US Quidditch Cup 12 is coming up in just under two weeks, and the gameplay format was just announced, so naturally, I've been thinking a lot about quidditch lately. I wouldn't be here on this website if I didn't think about uniforms, and a lot of quidditch teams have pretty bad uniforms. You can probably see where this is heading. 1. The main thing I wanted to accomplish was to better align collegiate quidditch teams with the rest of their schools' athletic programs. 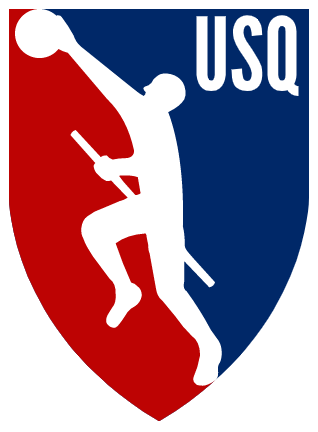 I don't know if it will actually help, but I feel like people might take quidditch more seriously if their uniforms were a little less ridiculous and, more importantly, if they didn't have names like Wyverns and Narwhals. (You might argue that quidditch teams shouldn't take themselves seriously; I'd counter that we can manage to not take ourselves seriously no matter what we're wearing.) 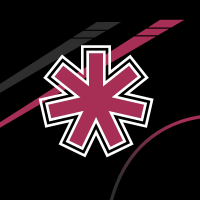 That said, I did try to base my designs at least a little bit on what teams have worn in the past. 2. Every team gets two, and exactly two, jerseys, a primary and a clash. A lot of quidditch teams don't have a ton of budget and can really only afford one jersey, which is fine for the most part, but can sometimes give you games that look like this one between Virginia Tech and South Carolina. Some teams already have two jerseys, so I figure this isn't too crazy. 3. Given that a lot of quidditch games occur at large tournaments, I wanted to make sure all sets were as mix-and-match-able as possible so that a full change wasn't necessary every time a team had to wear its clash uniform. Lots of teams will only get one pair of shorts and one pair of socks for this reason, or they'll have a pair that will be more of an alternate. First off, that shield's awfully rough, so I picked a new one. I based it off the one used by Middlebury College, since they invented the sport and all. I also updated the player's equipment: brooms haven't had bristles since 2014, players haven't worn capes since 2011, and the snitch has never actually been able to fly (that ball is now either a quaffle or bludger depending on your viewpoint). I swapped the colors to make blue more dominant, brightened the red a little bit, and I added the "USQ" on the side both for better brand recognition and to try and fill up all that space left behind by the cape. I don't feel like I changed much but I wrote this whole paragraph about it, so maybe I did? I should have the first team up soon, but in the meantime, what do you think? If you have any questions about quidditch in general, I'm happy to answer them too. We'll start with the first collegiate team in the Great Lakes region, Ball State. 1. Yes, there are supposed to be three 1s there. 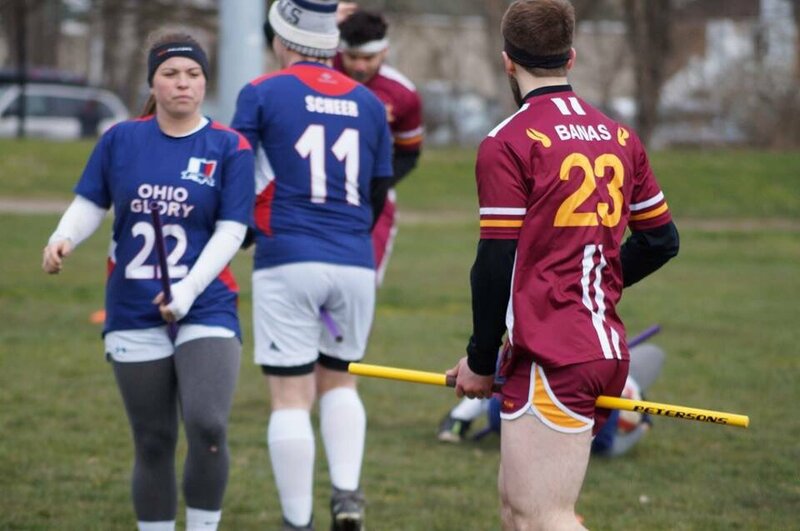 Quidditch has been pretty lax in terms of what you can use as a "number," and I've seen some pretty crazy stuff while going back through old uniforms. They've tightened things up, and going forward, will only be allowing two-digit numbers, but this season, they're still allowing three digits. I'm trying to use real names and numbers on the jerseys, so I figured I should let the big numbers stay. Anyway, Ball State quidditch is actually pretty good at looking like a Ball State team, and I based the secondary uniform quite a bit on what they wear now. It didn't feel quite right as the primary, though, so I went to their previous uniforms for inspiration; I'm not sure why, but that striping pattern looks very BSU to me. I'm not sure if the sleeve numbers are too much, but it felt a little too boring without them. Plain black shorts and plain red socks mostly because of how different the two jerseys are. Your images aren't showing up, @ItDoesntMatter. The privacy settings on your Google Drive account may be too stringent. Make sure the URL you're copying and pasting to the boards ends in a raster file format like .jpg or .png. You may want to look at hosting on Imgur instead of Google Drive. Whoops! It was the privacy thing. Should be fixed now. Thanks for letting me know. Tried something else. Hopefully third time's the charm. 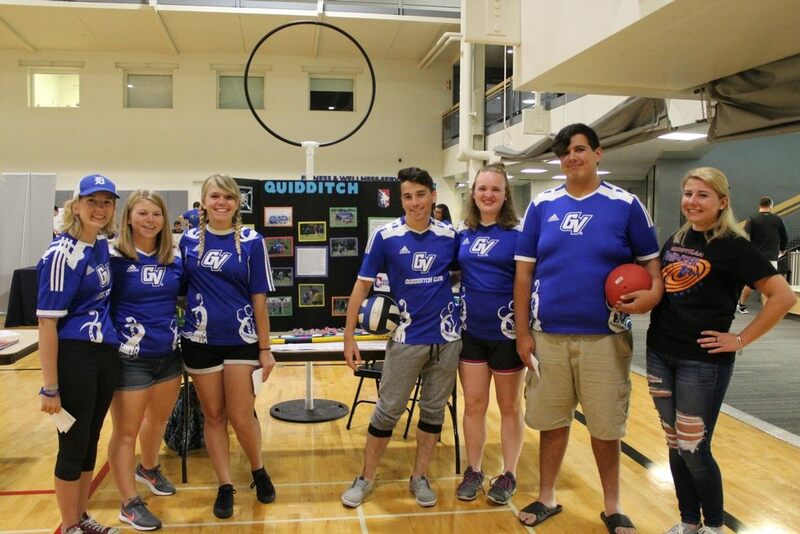 Didn't expect to see my school's quidditch team on the boards, but I love it! I love the set, especially the red. It has a very classic feel to it. Both uniforms are great, can't wait to see more! The images are working for me. If you're still getting spacer.png, you may have to clear your cache. 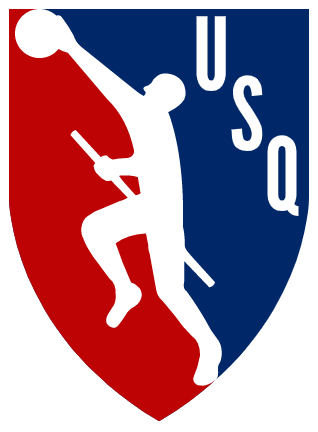 As for the league logo -- I get why you made the changes you did with the cape and the broom and the snitch, but I feel like those strip away some of the whimsy, some of the fantasy element of the sport. I mean, this was a sport invented for a book about wizards, and my sense is that people play it in large part to feel like they are part of that fantasy world. Stripping away those elements almost makes it too real. What's the harm in keeping the cape and the bristles to keep a little bit of that whimsy alive? The shield shape itself is an improvement, but there's an awkward bit in the top left corner, a patch of red isolated by the bludger. I would either reduce the size of the bludger a tad so that you can have some red on the left side of it and bring that side of the shield together, or remove the red patch and round the top right corner of the shield to match it. Without the cape, you've left a vast swath of empty blue on the right side, and I feel like you could fill that up better with the USQ lettering. I'd go with something bolder, a bit wider. The vertical alignment is interesting, but don't count out going horizontal if you find the right font and the right place to put it. Thanks! It's cool to hear that from someone who actually goes to BSU. I agree with you on those last two points. I've moved the player to the right a little bit so that the ball isn't quite up against the wall, and I've made the text a little bigger and moved it closer to the player to try and fill that space a little better. I tried out horizontal and even diagonal text, but it just didn't feel right. The "whimsy" comment, though, is exactly why I changed those things. 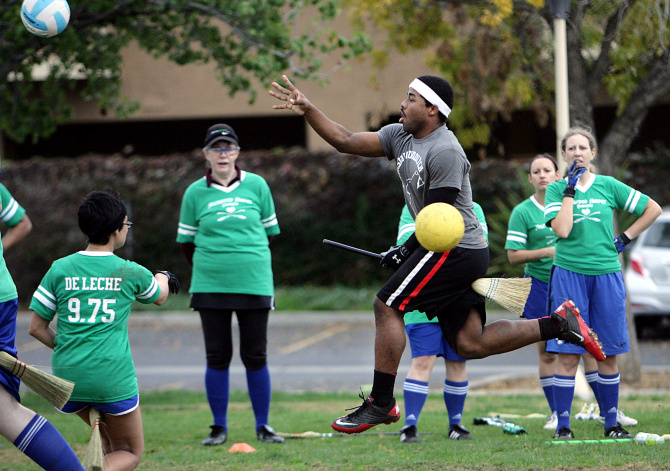 A lot of people hear "quidditch" and assume it's a bunch of nerds running around with capes, and it was that early on, but it's come a long way since then. It's a hard-hitting, full-contact sport and I know quite a few players who have never read the Harry Potter series. Muggle quidditch has distanced itself from the wizarding version quite a lot, and I want to reflect what the sport actually is rather than what it used to want to be, if that makes sense. I sort of had the same thought, but chalked it up to the cape not being there. I'm not totally sure what else to do with the back though. In the meantime, let's move on to Bowling Green. Bowling Green's color scheme is a great one, and one that I don't think their quidditch team has ever really used well. There are some things I like about their current jerseys, though, so I sprinkled those in where appropriate. I do like their number font, but I used something a little more readable for the names. I also wanted to use the square pattern, although I thought a whole jersey full of orange and brown checkerboard would be a bit much, so I cut it off on a diagonal. For the clash kit, I gave in and used black, because they've used a lot of black in their history. I liked the idea of just a big orange logo on a black background so I rolled with it. I thought the black shirts would look better with black shorts, but they could go with the orange ones too. If there's nothing on Bowling Green, let's keep the line moving with Central Michigan. There's a lot to like about Central's current set, though I also liked the white sleeves look they had before that, so I tried to merge the two uniforms together. The Centaurs name is cute, and there's a part of me that likes it, but for this series, it's gotta go. I liked the idea of just putting "Central" on there, though. 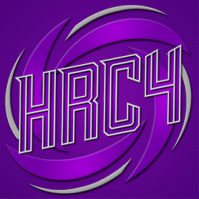 The font is blockier to bring it a bit more in line with their "Action C" logo, which finds itself on the shorts. 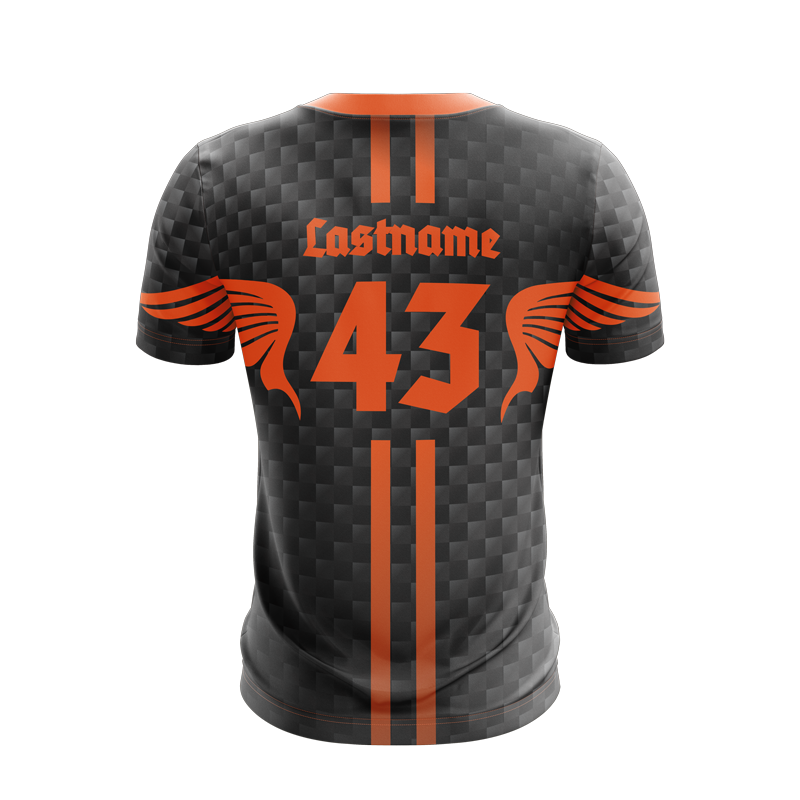 I kept their back stripes, which is relatively popular among quidditch jerseys for whatever reason (you may have noticed Bowling Green had very similar stripes down their backs). Since CMU already had a two-stripe motive on the sleeves, I decided they'd keep it. Rounding out the set are yellow socks, which you'll see a lot of, because yellow jerseys and shorts are currently reserved for snitch runners. C&C appreciated! I'll probably try and have another team up later today. There's a certain simplicity to GVSU's current shirts that I really like, but man, those tentacles and hoops and all that stuff have gotta go. That didn't leave me with much, but I found some versions of the uniform with horizontal stripes underneath the shoulders, so I tried those out, and I think it works. Matching stripes on the shorts. As simple as the primary is, I went a little wilder with the secondary, and went with black since I left it out of the main kit completely. They, too, get a pair of black alternate shorts to go with their black jersey. Wow, you are doing amazing work with this series. I agree with you about making the sport more aligned with other college athletics. The sport has definitely begun to grow independently of the Harry Potter universe. I actually really like Miami's current jerseys, so I didn't change much, just a couple of minor things to make it fit the template better. I gave it a matching set of shorts, complete with a swooshy thing. For their alternate, I thought it would be cool to go all red with no black, so I basically just converted the same look over, though I put the "MIAMI" wordmark on this one because I don't think the M logo works as well in one color. It could also be an interesting look paired with the black shorts. That's about all I got for these fellas. C&C appreciated as always. No complaints so far—these are all really good. Keep em coming! Michigan already has a matching pair of uniforms, so they're kind of ahead of the game. Their uniforms are pretty simple, and I wanted to maintain that simplicity, but modernize them a bit. I was struggling for a bit with how to get enough yellow maize into the jerseys, and I thought collar and cuff stripes would do the trick. It seems they've been wearing white most of the time, so I made that their primary. Pretty simple shorts and socks rounding things out. Not much else to mention really. I'm sure there will be some Michigan fan on here yelling at me about how these are wrong and I have to change them so hurry up and give me your C&C before that happens. The one thing every one of MSU's uniforms has had in common is that it's been green with a logo on the front, so I went with the one everyone recognizes. Their current duds are pretty uninspiring, though; I adapted the striping from these jerseys and these shorts. For the clash jersey, I just inverted everything, although the socks stay the same. C&C appreciated as always! I kinda feel like I'm talking to myself here. I'm actually sitting on this campus right now. For those that aren't familiar with us, we have finished top 2 in the NACDA Directors' Cup standings for Division 2 for 17 straight years. I love what you did here. I'm actually sitting on this campus right now. For those that aren't familiar with us, we have finished top 2 in the NACDA﻿ Directors' Cup﻿﻿﻿ standings for Division 2 for 17 straight years. I love what you did here. I had to look up what the Directors' Cup is, but that's impressive. Thanks for the compliment! OU's quidditch team has had brick wall patterns on their last two uniforms. I'm not really sure why that is, but I figured I'd stick with it. Big logo on the front so you know it's Ohio. The clash is, once again, just a straight color swap of the home, since I thought they needed a green jersey. Contrasting shorts as the main option for both jerseys because I think the color balance is better that way, but as always, they can mix and match if they want. C&C appreciated! The Mid-Atlantic region will be up next.